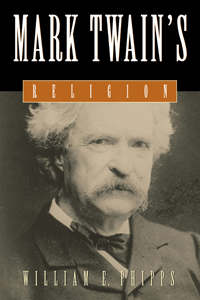 An extensive treatment of Mark Twain’s views on religion Although there are many studies of America’s most famous literary figure, this thorough investigation provides not only new information on Twain’s religion, but also a different approach from anything published before. Interpretations of Twain over the past century have been largely the province of literary critics. By skillful textual analysis they have produced an abundance of nuanced studies, but they tend to have little interest in, and knowledge of, the broad religious context of Victorian society, which both angered and intrigued Twain. Phipps provides perceptions often overlooked into the way Clemens’s religion was related to such significant issues as racism, imperialism, and materialism. This study takes a close look at his growing up in the slave culture of Missouri Protestants and his subsequent involvement in the radically different abolition culture in which his wife was raised. Like Twain, who aimed at communicating with the common person, Phipps has written in a style that will attract the educated public while providing fresh insights for Twain scholars. His research has taken him to Hannibal, Elmira, Hartford, and to the Twain archives in Berkeley. Mostly chronological, the book makes extensive use of Twain’s works and, often neglected in such studies on Twain, the Bible, his most important literary source.